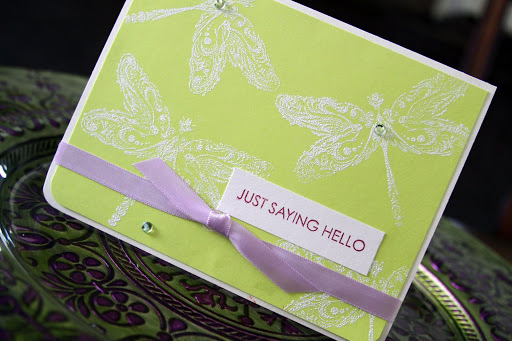 Here is another card I made using that pretty lavendar ribbon I found. 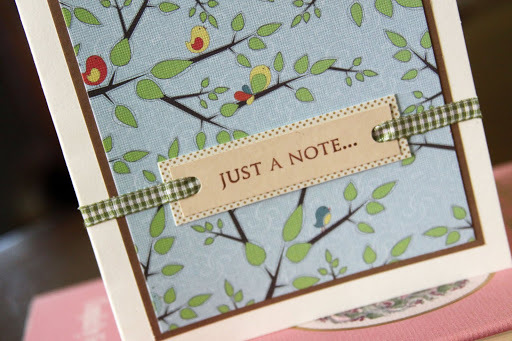 Also hope you like another simple card I made “Just a note…”. I realize a lot the cards I make are more on the feminine side so I’m trying to come up with some more masculine designs. After all, men love getting cards too, right? I’m not sure if this second card is masculine enough. You be the judge. 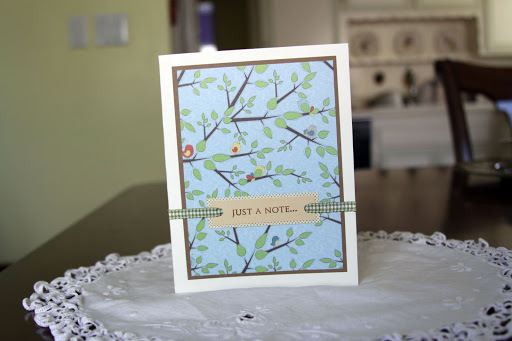 cute cards, love the one with the birds.Wow, thank goodness you decided to test that treadmill. I'll keep that in mind next time I have a yard sale, test all electronics before putting them out. 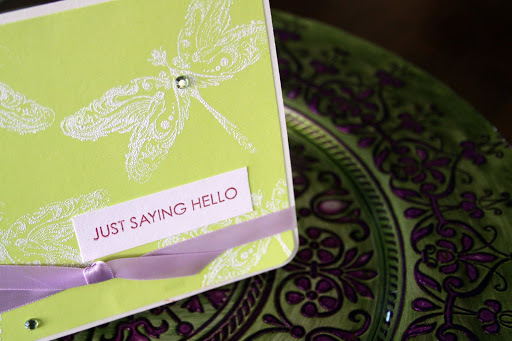 I haven't posted anything new on my blog…soooo busy. Hope you're having a great day!